I have also included a deffinition section on the page as well. If everyone followes these rules like they are supposed to, it should balance out alot of the chaos that has been going on recently. Above all, listen to the Admins and Owners. In about 50min from this post new keys will be released. He is supposed to be releasing 10k keys. 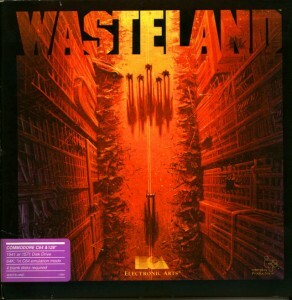 I imagin many do not remember this game since its before their time, but this is the game that started Post Nuke themed games. 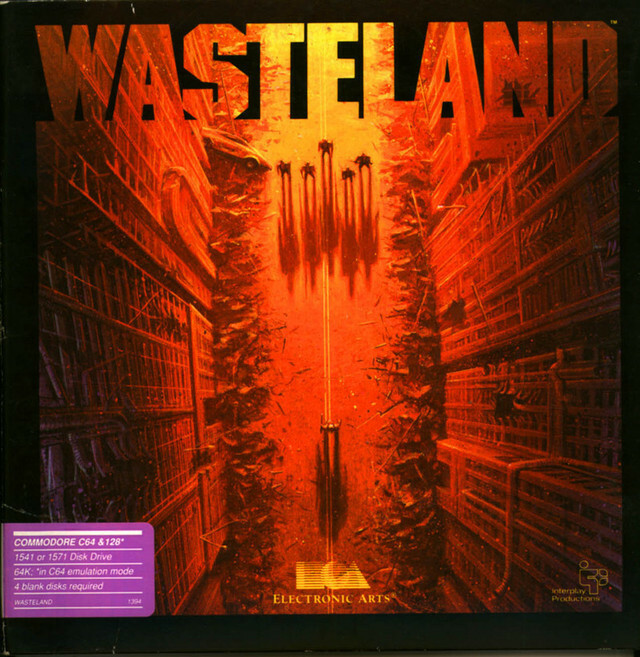 This is the beginning of it all, and there is now going to be a squal, Wasteland 2. The original game came out for Commodore 64, Apple II’s, and Dos. You can still find free downloads for it using google, and it can be run in DosBox. Here are a few links with more info. And yes, if your wondering, this is what got me started on Post Nuke themed stuff. So in a effort to add some stuff to the live server in the mean time, we will be adding a new food item this weekend that was created by Postman. This should help alot with food issues and such. Some Patch Notes so far, you can get the more up to date list here. In the near future we will start opening up the Dev server for beta testing. To be eligible, you will need to be at least respected or above on the Live PostNukeRP server. You will also need a Garrys Mod 13 beta key, if you do not have one, you can try to pick on up next weekend. Watch Garry’s Twitter for more details on when they will be released. Just remember, just becouse you have a key, does not mean you gain access to the server. I will post more on this when we get closer to beta testing. As you know we have been working on PNRP alot recently. So far the patching is going good, we have converted most ofthe systems to SQL, Lost is currently working on Grubs, and the new profle system should be in place. At long last, Beta 2 of Wasted Waters is out. It has allready been uploaded to the live server and is ready for use. The main point of this version is to test the lag fixes that have been done to the map. The lighting on the map has been updated. I know there are a few issues on this map and they will be fixed on beta 3. Weather cariable will probably be adjusted more later on. So ya, just putting this out here in case anyone who visits the site plays Seconed Life and needs to rent a plot of land. Lease Discount of 10% for 6+ months rental. Water Level = 20M RATING: Moderate Resizable to fit your needs. Welcome to Alanna. Please read this carefully as we attempt to create a fun experience for all. Owned and operated by Radjin Properties. Alanna is a full region. Its zoning is residential/Commercial.. Below is a copy of the land rental agreement each and every tenet has agreed to. We ask that all visitors to this land also follow the same agreement as set forth below. Any harassment of any other person is not allowed and will likely result in a ban from all Radjin Properties. Thank you for looking into renting our property. 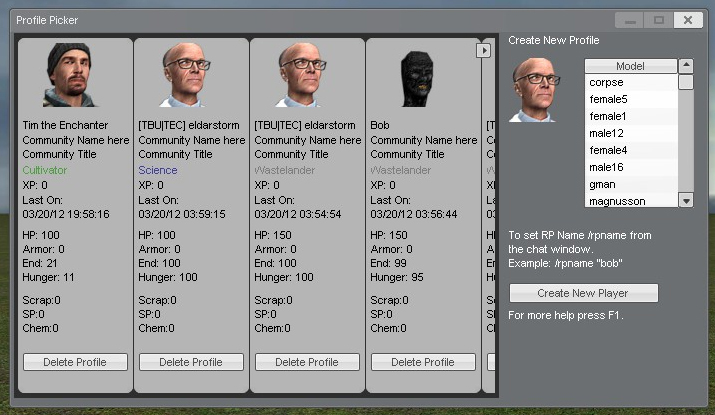 For detailed land information please get about land by clicking on the parcel information at the top of your Second Life window. Your Plot is deeded to a group of your choice. This affords you all the options you would have as if you owned the land yourself – music/video streaming, ban lists, list in find, etc. Officers of your group will have full access to all the features and permissions, allowing you to control who has that access via group (officer) membership. A. Commercial – Clubs, Malls, other Shopping centers, Casinos etc. Signs and flashing lights on the side away from any residential property. If you building is large and sits close to the residence lot behind it then please place some trees or other acceptable means of minimizing its impact. a. Intimate areas, adult art work or other adult material must not be visible from the public areas. b. Intimate conversations from private rooms must not be heard from non adult areas, other commercial or residential areas. Residential – Personal housing only. No stores or shopping centers, casinos or clubs. A personal dance floor for personal entertaining is fine. No signs or flashing lights used to advertise. Christmas and other holiday decorations are acceptable as long as you keep the affects in sim operation to minimum. Intimate conversations must not be heard from another lot. 4. BUILDING HEIGHT – No limit. No ‘Floating buildings’ below 650M. No rotating signs or particles to the exterior (except in creating natural effects, such as waterfalls). 5. SECURITY SCRIPTS/AUTOMATED DEVICES – The operational range should not exceed your property boundaries. At no time should any automated device or announcements interact or be heard beyond your property. No general bans that create a fence that blocks movement through the sim. Individual blocking/banning is of course allowed. 6. SHOOTING – Shooting is not allowed on any parcel without prior agreement with Radjin Properties. Doing so will likely get you banned from your own land. 7. LAG POLICY – There is no strict lag policy. Residents are expected to exercise common sense and an unselfish attitude in avoiding the degradation of simulator performance. Avoid as many active scripts as possible e.g. listening scripts such as show/hide pose balls – many have the option to be operated by touch instead. Should Sim performance drop (FPS <40) as a result of user content, the biggest contributors to lag will be asked to make changes. Help your fellow residents by ensuring it doesn’t reach this stage. 8. RENTAL RATES – Paid in L$ or Pay Pal (+3% fee) on a minimum of a monthly bases. We attempt to give out land in 512 increments (e.g. 512, 1024, 1536, 2048, etc), however it is not always possible due to land configuration or space availability. We do require that you take a parcel that does not leave unusable land around you. Receive a 10% discount on your rent. A. Rent the land and prepay for 6 months or more. B. Rent monthly until you reach 6 months. Rent is due on the first of each month, and is delinquent in 10 days. You are subject to eviction and your property cleared at any time after that. 9. REFUNDS – Will not be given for less than 30 days from notice date, or for any person or group who property has been closed due to breach of this contract. 10. SUBLETTING – Is allowed if the current agreement is given and understood by the sub-tenant. The parcel tenet is responsible for all actions of any person he/she allows on their land. The sim owner takes no responsibility for any arrangements between the parcel tenant and the sub-tenant, or the contents of the sub-tenants space. 11. ADULT CONTENT – The new Land Ratings System and ID verification system SL has in place requires that adult content be kept away from minors. It is my intention to rate the island as Moderate to allow the maxim number of occupants. However this requires that all adult content be kept out of sight of the open land and the casual visitor. Please monitor your property carefully. 12. LAND RATINGS – Each parcel tenant is responsible for the proper marking of his/her land as moderate or PG. The SIM owner takes no responsibility for parcel owner’s incorrect marking of their land beyond notifying them once it is brought to his attention. Continued miss-marking of a parcel is grounds for rent termination. 13. REFERRAL PROGRAM – Stay free on your rented land. Refer someone and get 10% of their first months payment in the form of a time extension. – The tenant may terminate the agreement at any time. A refund will not be given for any partial months used. – Failure to make payment will result in the tenancy being terminated and the parcel’s objects being returned. – To ensure a comfortable living environment in SL, I reserve the right to terminate the tenancy of any tenant deemed to be ‘griefing’ another tenant whilst in an island rental sim. This holds for the main account of the tenant, an alt, or friends. These incidents will be dealt with on a case by case basis.A refund for the outstanding period of the tenancy may or may not be given. I also reserve the right to NOT renew an agreement once it runs out. – I reserve the right to ban individuals from the estate. – The tenancy is intended as an ongoing permanent agreement for as long as the tenant wishes. Under the extremely unlikely event that the sim is to be sold, or SL ceases to exist, I will refund the full amount left on your agreement to the day, regardless of where the tenant is in their rental period. – Your tenancy is not transferable to another person. PLEASE NOTE: WE WILL NOT BE HELD RESPONSIBLE FOR ANY CONTENT LOSS THAT IS NOT A RESULT OF MY DIRECT ACTION. ANY LOSS AS A DIRECT RESULT OF ACTIONS FROM FELLOW OFFICERS IS YOUR RESPONSIBILITY. ANY LOSS AS A RESULT OF SERVER/SOFTWARE FAULTS SHOULD BE TAKEN UP WITH LINDEN LAB. I WILL ALSO NOT BE HELD RESPONSIBLE FOR CONTENT LOSS RESULTING FROM THE RETURN OF OBJECTS DUE TO FAILURE TO PAY RENT. BY BECOMING A TENANT, YOU ARE STATING THAT YOU HAVE READ, UNDERSTOOD, AND AGREE TO THE TERMS, CONDITIONS AND GUIDELINES IN THIS NOTECARD. Just thought I would put this out here for anyone who is interested. Good news is, updates are going good on PNRP, we got alot done tonight. The HUD issues are fixed, Weapon Icons are fixed, Spawn Grid is now fixed. We had a glon issue with the Spawn Grid, so we made that system the first one to be moved to sqlLight. Hud issue was with the font we were using, it seems to be bugged, so we are now using a new one. Weapon issue is a similar issue, but is now fixed. Bad News: In light of the fact that there are currently 7780 files at about 2MB in the Player Save folder only (Thats not counting Inventory files), player data will be lost in this update. I know that this will make a few mad, and it was not a light decision by me and Lost, but with that many files it will be near to impossible to import them into the new SQL system. As it is, that many player files is one of the reasons it lags so much when a player connects. Just creating a function to try and make a list of everyone who has joined crashes the server. So, keep in mind, this is Beta. The new system on top of the new net code from Garry will make it run a whole lot faster. And no, we will not be reimbursing player inventories when the server us updates, to do so on this scale is unreasonable and near to impossible, so please dont ask us to. pn_revelation_beta_3 is available for download in the Downloads section, and is available for use on the PNRP Server as well. Thanks goes to CrazyKid for building this great map, keep up the good work. May pick this back up later on with how the current admin tool options have been going.